Nicki Minaj and Cardi B beef just turned physical. On Friday night, the rappers got into an altercation at the Harper’s Bazaar party during New York Fashion Week. 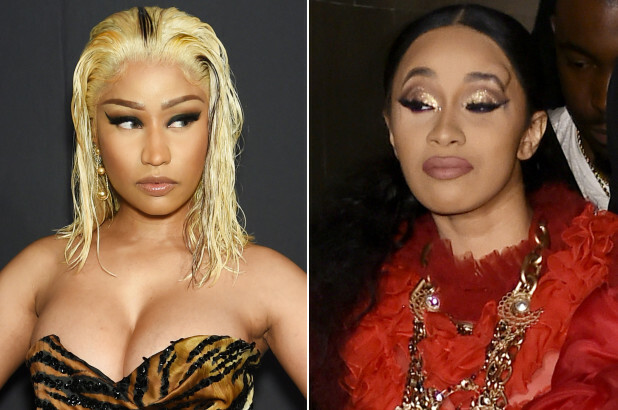 Nicki Minaj was with her crew at a table, when Cardi B “aggressively approached the table,” according to eyewitnesses. “Let me tell you something,” Bardi said to Minaj as she lunged towards her but security quickly stopped her inches from contact. Immediately following the incident, Cardi was escorted out by security while Nicki stayed inside. Cardi was seen leaving the party barefoot with a large lump on her forehead.